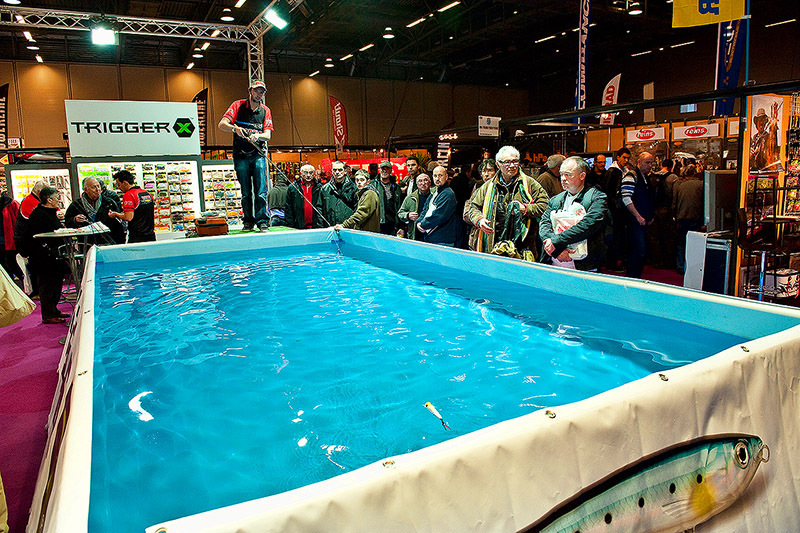 The first ever Nantes fishing show I went to will forever stick in my head for a bunch of different reasons, and one of the stand-outs for me was seeing how many different lure rods there were that seemed to be so close together in lengths and casting weights - and I got myself in a frightful pickle when confusion began to reign in my brain about what lure rod was meant for hard lures and what rod was meant for soft plastics, and so on…………. But it just doesn’t matter at all, or at least I don’t reckon it does. I came to realise this over time when I was starting to play with more and more lure rods within let’s say the “classic” or most useful, roughly 7-35g range. I don’t understand a single word of Japanese, but from many YouTube videos and whatever translated blurb I can find on various websites, I get the impression that soft plastics aren’t a big thing for their (sea) bass fishing, so via this I must assume that a lot of these Japanese designed or made lure rods we fish with are essentially designed for fishing a lot of hard lures. Yet I find many of them to be amazing with soft plastics - and of course the term soft plastics implies a lot more to me these days than it did only a few years ago. I read that so and so rod is designed to fish say 12-14cm minnows (diving hard lures) but I find so and so rod to be really good for soft plastics - and so on and so on until I could end up tying myself in knots all over again! I have watched various Shimano Japan YouTube videos on what I happen to think is just about the most amazing lure fishing rod I have ever come across - the Shimano Exsence Infinity S906M/RF 9’6’’ 6-38g lure rod (review here) - but I can’t recall seeing a single soft plastic being fished on it in those videos. If I could design a lure fishing rod to fish with the bulk of the soft plastics I find myself using the most though, then I’d take this Shimano rod because to me it’s essentially perfect. So does it matter that when this rod was designed, the way I so often end up fishing with it may well not have even entered their design process? Not at all, and that’s my point here. It simply doesn’t matters, or at least that’s what I think. For sure an item of fishing tackle like a rod or a reel has been designed with a certain kind of fishing in mind, but as an example I bet you any money that the USA based St.Croix fishing rod company never in a million years foresaw a bunch of their steelhead blanks ending up in the hands of some European (sea) bass anglers. Gear fishing as they often call it for steelhead (i.e. not fly fishing for these awesome fish) bears little relation to banging a Patchinko out for our bass, but somehow some bass anglers stumbled upon these blanks and liked them for their bass fishing. I bet you there are crossover stories like this all over the place to do with fishing gear. Hell, those breathable waders and wading boots you wear and most likely go through on a fairly regular basis were categorically not designed for the sort of saltwater based use we put them through - and so on. So if I got confused at that first Nantes show in particular - and I always hold on to this feeling of confusion so that I remember what it’s like when you’re getting into a different kind of fishing - then I believe it’s only fair to assume that a lot of other anglers are confused about what lure or spinning rod is meant for what. It simply doesn’t matter what one angler reckons is better suited to fishing certain kinds of lures - and I include me here of course - because if the rod feels right to you and you are enjoying fishing with it and catching fish on it, then it’s the right rod for you and how you fish. Soft, fast, through, poker, whatever sort of balance, whatever the price, if you like using it then I would suggest it’s the right rod for you whatever anybody else says……………..